The book provides readers with the knowledge and skills to be confident and effective inclusive teachers for 21st century classrooms. 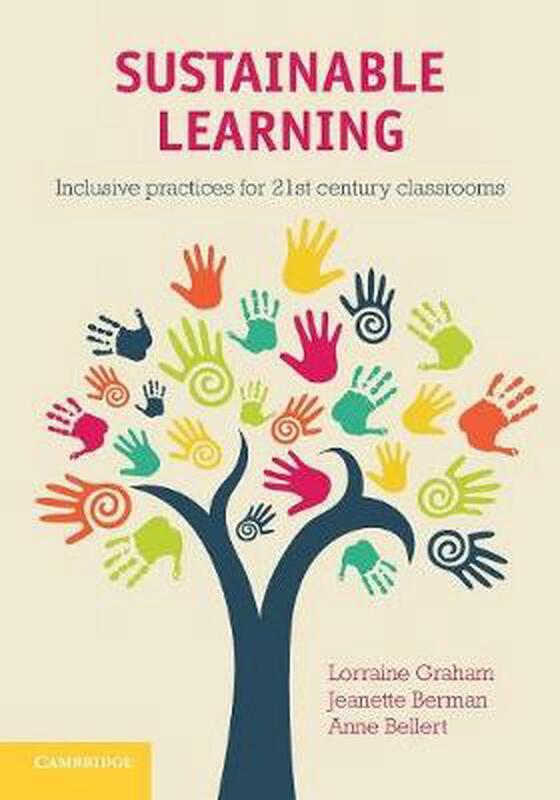 Sustainable Learning: Inclusive Practices for 21st Century Classrooms provides readers with the knowledge and skills to be confident and effective inclusive teachers. The authors show that these skills are essential to quality teaching - teaching that is evidence-based, purposeful, relevant and responsive to students' needs. The book employs three overarching frameworks to examine inclusive practices in education: equity (learning for all), values (learning that matters) and sustainability (learning that lasts). Chapter features include: 'Think and do' exercises Examples, case studies and vignettes * Tables, figures and diagrams to help readers visualise core ideas, theories and themes. It encourages teachers to see all students as developing learners and to consider the complexities and diversity of learning in the 21st century. In doing so, it canvasses topics such as a sustainable approach to inclusion, learning processes, teaching processes, differentiation, assessment to support teaching and learning, and life-long learning. Lorraine Graham is Professor of Learning Intervention at the University of Melbourne. She has been an active researcher for the last twenty years with positions as Associate Director of the National Centre of Science, Information and Communication Technology, and Mathematics Education for Rural and Regional Australia, Co-Developer of the QuickSmart literacy and numeracy programs, and Professor of Inclusive Education and Psychology in the School of Education at the University of New England. Lorraine is a Fellow of the International Association of Research into Learning Disabilities and recipient of UNE's Team Award for Excellence in Research. She has dedicated her career to creating relevant and responsive systems of strategy and instructional support. Dr Jeanette Berman is Director of Educational Psychology at Massey University, Auckland, New Zealand, where she teaches undergraduate and postgraduate courses, and provides continuing education for practising psychologists and teachers. She has previously taught special and inclusive education in teacher education programs at the Australian universities of New England and Canberra. Jeanette continues active practice as a psychologist in schools, is registered in both Australia and New Zealand, and is a member of the Australian and New Zealand Psychological Societies. She is also a member of the Australian Psychologists and Counsellors in Schools (APACS), the International School Psychology Association (ISPA), and the International Association of Cognitive Education and Psychology (IACEP) and has presented at conferences around the world. Jeanette has a special interest in understanding learning and teaching through assessment, and has researched and applied dynamic assessment within her practice. She also has a strong focus on Indigenous education and has been the school psychologist in an independent Aboriginal school for many years. Jeanette is an artist, calligrapher and photographer who has enjoyed creating the graphics throughout this book. Dr Anne Bellert is a qualified primary school and special education teacher and consultant who has worked in a wide range of school settings for almost twenty years. As well as teaching, Anne has worked closely with classroom teachers, school executive and family members of students with disability and named difficulties to promote inclusive practices and approaches. Anne was involved in the development of the QuickSmart program and pursues research and publication interests focusing on learning difficulties in basic academic skills, literacy, numeracy and more recently, the potential role of cognitive neuroscience in 21st century education. She is currently a Lecturer in Primary Education at Southern Cross University. Introduction to sustainable learning; 2. Learning processes; 3. Teaching processes; 4. Influences of learning; 5. Assessment and feedback; 6. Learning for all; 7. Learning that matters; 8. Learning that lasts; 9. Inclusive practice for 21st century classrooms. It is the perfect tool for 21st-century teachers.